BEACH CONDO. .Invest in a piece of paradise. This unit is in Immaculate condition, fully furnished, year- round living with ocean views. Step onto the sand and into the surf. The eat-in kitchen with stainless stove and refrigerator is open to the living room and 2 delightful bedrooms. 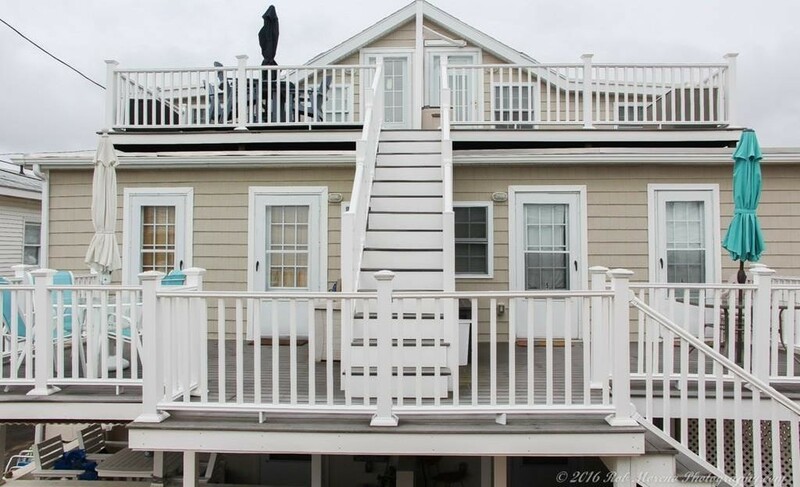 Your own private deck with composite decking has amazing ocean views .Sip coffee or cocktails while smelling the salt-laden air and hearing the sound of the surf. Just bring your bathing suit, flip flops and beach towel. This lovely unit offers 1 off street, assigned parking space. Pet friendly. Live here year round, rent out(with some restrictions), or have your own get away...DREAMS DO COME TRUE LIFE'S A BEACH!